Issuance of visa is prerogative of the approving authority. Normally, if an application is approved, visa is issued in seven (7) business days. To walk-in applicants from out-of- Greater Houston Area, visas are issued same day. The processing time may take 4-6 weeks or longer if the case is referred to Ministry of Interior, Islamabad for decision. A long-term visa will become invalid if not used within 6 months of its issuance. Valid signed US Passport and one photocopy of first page (must be valid at least for 6 months from travelling date).A valid, The passport must have at least 6 months remaining after the completion of your stay in Pakistan, and contain at least one blank visa page. Two (2) fully completed and signed Pakistan visa application 2018 Indian Nationals should fill-in Visa Form for Indian Nationals. Two (2) passport photographs. Indian Nationals should furnish 5 Passport size Photographs. Copy of local ID (Driver’s License or State ID). In case of absence of local ID, a copy of applicant’s latest utility bill can be provided as proof of residence within our area of jurisdiction. If the visa applicant is a child, then a copy of his/ her birth certificate and a copy of both Father’s and Mother’s local ID will be required. For children under 16 years of age, mother’s as well as father’s notarized consent form conveying no objection to issuance of visa to their child(ren) must be attached with visa application form. This consent form must be furnished even if the child is traveling with the parent (s). For non-US passports holders, a copy of proof of legal resident status in USA (Green Card/ Alien Registration Card/ Work Permit). If the purpose of visit is Trekking/ mountaineering, then the applicant must provide an Invitation letter from tour operator in Pakistan, Registration letter of tour operator with Ministry of Tourism in Pakistan, and the Trekking/Expedition permit issued by the Gilgit-Baltistan Council. Family Visa (for foreigners of Pakistani origin and their spouses & children):A multiple entry visa with five year validity or up to the expiry date of the passport, whichever is earlier, may be issued to applicants of Pakistani origin and their children & spouses (except Indian nationals) provided they furnish Photocopy of front and back of applicant’s valid or expired Pakistani ID (such as NIC/CNIC/NICOP) OR a copy of name and picture pages of their valid or expired Pakistani passport. 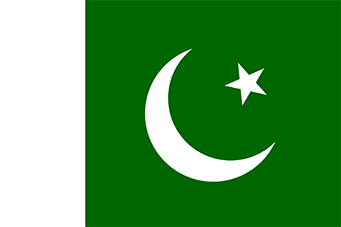 If any applicant does not have Pakistani ID/Pakistani Passport of their own, they may provide a photocopy of their birth certificate along with photocopy of their Father’s or Mother’s Pak ID/Pak Passport (valid or expired) OR photocopy of Spouse’s Pak ID/Pak Passport (valid or expired) with copy of marriage certificate to show the connection/ Pakistani origin. A valid, signed US passport. The passport must have at least 6 months remaining after the completion of your stay in Pakistan, and contain at least one blank visa page. Two (2) passport photographs Indian Nationals should furnish 5 Passport size Photographs. Copy of local ID (Driver’s License or State ID). In case of absence of local ID, a copy of applicant’s latest utility bill can be provided as proof of residence within our area of jurisdiction. Letter of Invitation from the company in Pakistan that you intend to visit. A duly signed original letter of invitation from the host company on its letterhead along with its registration certificate with a Chamber of Commerce in Pakistan. Members of the news media are required to also complete Form-AWork Visa:Work Visas are issued after approval of Ministry of Interior, Government of Pakistan. The applicant’s employing company in Pakistan should process this approval through Board of Investment, Islamabad.Journalist Visa:The visa will be issued only on presentation of letter from the sponsoring publication and in consultation with our Press Attaché based in Embassy of Pakistan Washington D.C.Diplomatic, Official, Military and Education- related visas:Diplomatic, Official, Military and Education- related visas are processed by Embassy of Pakistan, Washington D.C. The applicants from our area of jurisdiction who wish to apply for any of these categories of visas, should send their applications directly to the Embassy of Pakistan in Washington D.C. The Fee is accepted only in the form of Money Order or Cashier’s Checks made payable to Consulate General of Pakistan Houston. CASH AND PERSONAL CHECKS ARE NOT ACCEPTED. VISA FEES IS NON-REFUNDABALE EVEN IF VISA IS DENIED. Approximate processing time is 3-4 months for Indian nationals. ALL VISA FEES ARE NON-REFUNDABLE EVEN IF VISA IS DENIED. The Pakistan tourist or business visa is usually valid for two entries within three months from date issued, the business visa may be valid up to one year, for a stay not to exceed 30 days. Former citizens of Pakistan, presenting an old Pakistan passport or National ID card, may apply for a multiple entry visa valid up to 5 years.